Asthma is a respiratory condition characterised by spasms in the bronchi of the lungs, resulting in breathing difficulties. It’s normally associated with allergic reactions or other forms of hypersensitivity. 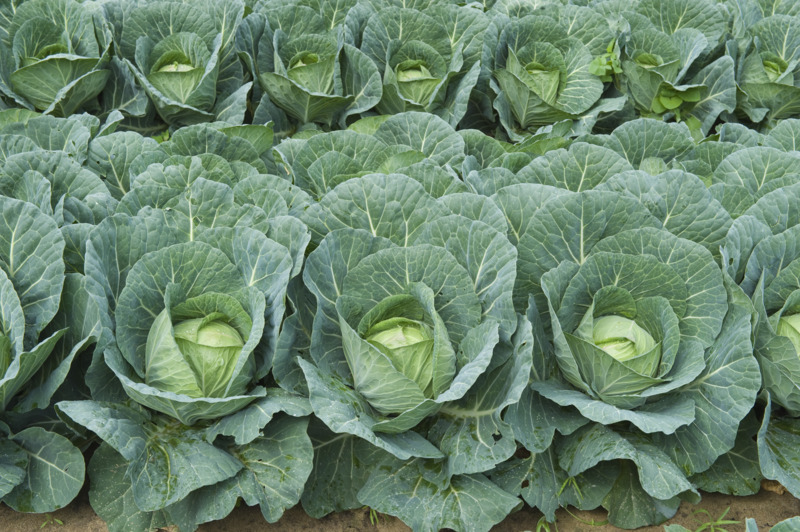 This blog will take a brief look at some evidence that suggests a central role for plant-based diets in the treatment of asthma and the prevention of asthmatic attacks. Omega-6 fatty acids are mostly found in animal products. They are also found in margarines and other vegetable oils. 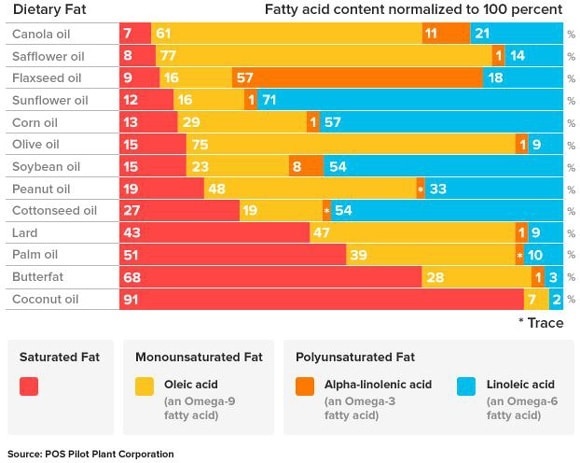 The specific amounts of oil-based fats are shown in the chart below 4 . N.B. Consuming any form of oil or fat that’s been separated from its original food source is not to be advised, for reasons covered in previous blogs. 5 6 7 . An interesting article appeared in The Telegraph today 47 entitled “Asthma inhalers as bad for the environment as 180-mile car journey, health chiefs say.” It points out the dangers to the environment of the hydrofluorocarbons (a powerful greenhouse gas) contained in the majority of the asthma inhalers (known as metered dose inhalers of MDI’s) used in the UK. Whilst inhalers do, of course, save lives and users should only consider making changes in consultation with their doctor, they are known 48 to have side effects. 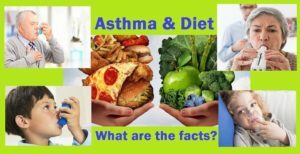 Making dietary changes that help to prevent and treat asthma does seem to be a much better alternative, especially since the only side effects appear to be positive ones. 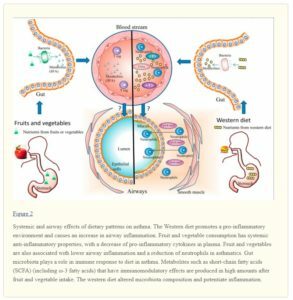 The foregoing appears to suggest that there is, indeed, an important role for plant-based diets in the prevention and treatment of asthma. Such diets (so long as they are based on wholefood plants and avoid processed plant foods) are excellent for the maintenance of healthy weight and can provide the ideal fatty acid profile. It’s clear that some particular foods are best avoided completely, including dairy products, fast food, sugar-sweetened beverages and, arguably, excessive amounts of salt – especially when contained in processed foods. If you suffer from asthma, perhaps a useful way to check whether this dietary approach will alleviate your asthma is to stick with your current diet for a specific time, but keep a detailed daily record of asthma symptoms. After this, change to a non-SOS WFPB (no added sugar, salt or oil wholefood plant-based diet) for a similar specific period of time and maintain the daily diary. You would then be able to compare the frequency and intensity of symptoms between the two periods. Should you decide to do this, and would like to share the results, please feel free to write to me with your findings and I will aim to publish them in a subsequent blog.